Every business needs qualified leads. Not JUST leads — but qualified ones you win by targeting specific “personas” that are likely to want to do business with you. How do you get more of these? 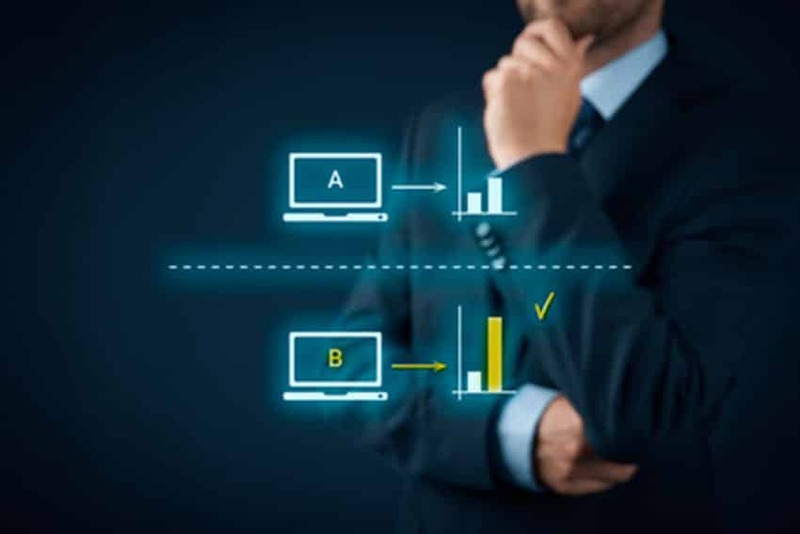 That’s what Digital Marketing is all about in the end — are your marketing efforts delivering sales and profits to the bottom line? We have some thoughts on that. 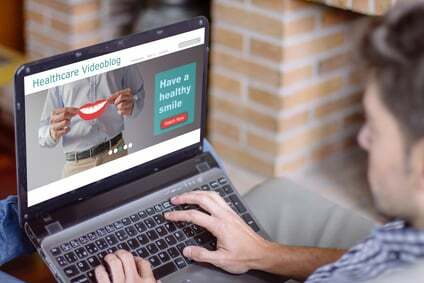 As dental marketing professionals, our job is to help dentists and their offices create trust with the public by putting their greatest benefits and guarantees at the forefront of our marketing efforts. 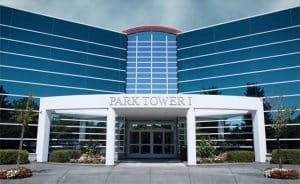 Learn more about this benefit-driven marketing along technique with our CRO and SEO tactics for dental office marketing. What if you could optimize content for conversions, plus boost readership — BEFORE your major advertising push? You can. We call this the Facebook Kapow tactic, and in this post I explain how you can pick a winning blog marketing post for engagement out of a pack of 3-5, and also boost its final readership percentage. 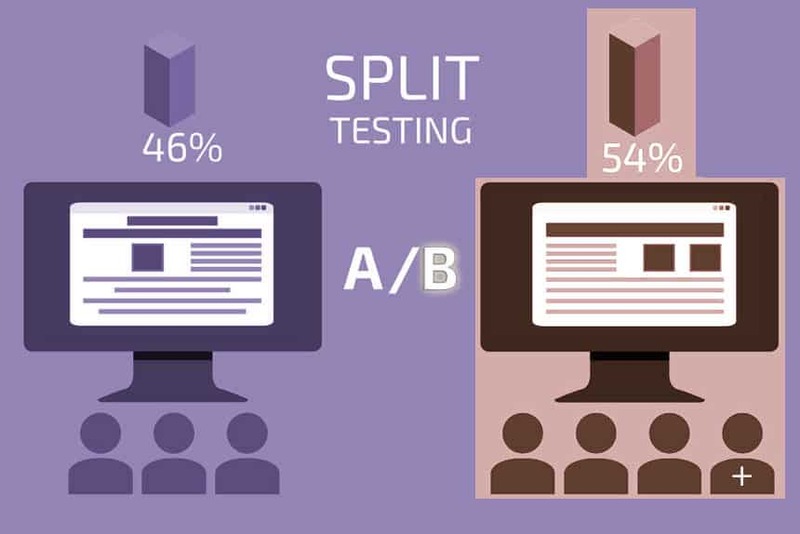 Are you A/B testing landing pages at your website? 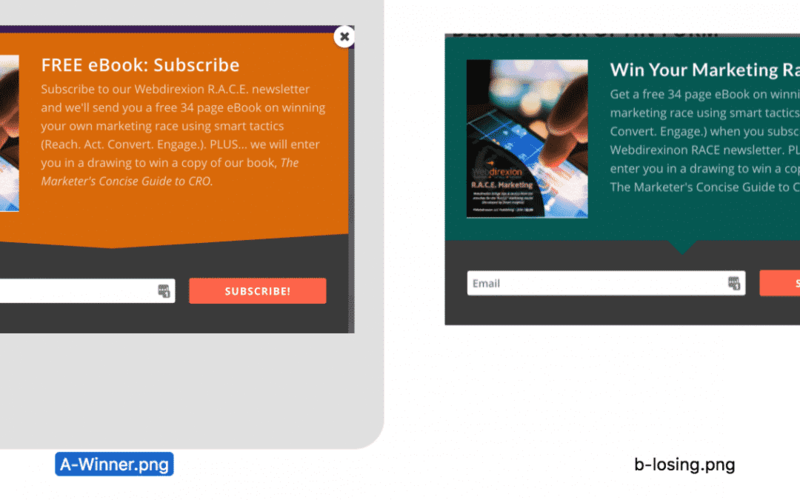 What if you could go beyond and test different content modules on all posts and pages? We tell you how. 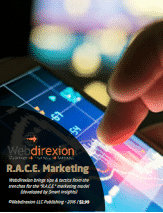 At Webdirexion LLC, our team uses a marketing model known as “R.A.C.E.” (Reach, Act, Convert, Engage) to organize strategic thinking, the tactics that flow from it, and measurements to meet and exceed goals. We’re presenting an infographic with some research notes about one of the focus areas of R.A.C.E. 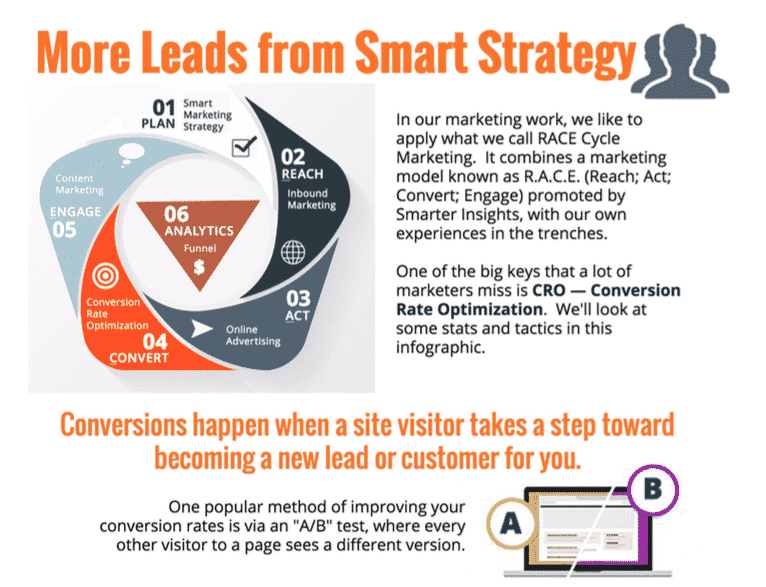 — Conversion Rate Optimization.